Christian boarding school for struggling teenage girls from Iowa. – boarding schools with therapy and boarding schools troubled teens. Learn About Wings of Faith Academy, a Christian Boarding School for Girls. Our Christian boarding School in Missouri Helps Adolescent Girls from Iowa. Wings of Faith Academy is a Christian boarding school specifically designed for girls who are struggling, including from the state of Iowa. If your daughter seemingly changed overnight to become rebellious and perhaps a danger to herself or her future, our secure and safe Christian boarding school can make all the difference. Girls who attend WOF are those who have perhaps threatened to run away from home, or who are consistent manipulators, or experimenting with alcohol and drugs, or being promiscuous. Your girl in Iowa could be trying to exploit your weaknesses, so you could feel like it is your fault and blame your own parenting for her troubles. But it is important to remember that you are not the problem; her goal is to make you feel bad about yourself, so that you’re more likely to give her what she wants. The staff of Wings of Faith Academy works closely with every teen in our care to help her improve her behavior. Teens need to learn coping skills, character, self discipline, personal accountability and good habits. We support them as they repair and rebuild destroyed relationships with their parents. Our academy is an affordable, highly successful, therapeutic option for girls who are struggling. 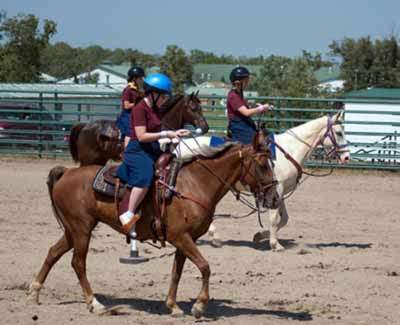 Our school enrolls girls in our Christian boarding school from Iowa, year-round on our Missouri ranch campus. While you search around Iowa for a Bible-based Christian boarding school which can help, we invite you to consider Wings of Faith Academy. Though it is not in Iowa, Wings of Faith is less than half the cost of typical therapeutic boarding schools around the nation, including Christian therapeutic boarding schools near Iowa. We enroll teen girls from Iowa and around the country. Many girls come to our Christian boarding school failing or falling behind in class as a result of distractions of life issues. Our accredited high school curriculum gives girls a chance to compensate for missing or failed credits and graduate high school in a timely manner. We focus on spiritual growth throughout our program. We introduce biblical principles to address the critical issues that teens face. We have seen miracles take place in the lives of even the most rebellious teens. We engage girls with many different activities to let them enjoy life again. Games, crafts, recreation, horseback riding, swimming, volleyball, movies, field trips and much more keep girls active and having fun. Our Christian boarding school was created to rebuild families from Iowa, and from places all around the nation. Submit our inquiry form or give us a call to hear from an admissions counselor. To discover more, we invite you to read the rest of our website, then fill out our inquiry form or contact us directly at (417) 276-7185.
is a Lower Cost Christian boarding school with behavioral therapy. Cedar Rapids is the second largest city in Iowa and is the county seat of Linn County. The city lies on both banks of the Cedar River, Convert north of Iowa City and Convert east of Des Moines, the state’s capital and largest city. City hall and the Linn County Courthouse are located on Mays Island in the Cedar River; Cedar Rapids is one of few cities in the world with governmental offices on a municipal island. A flourishing center for arts and culture in Eastern Iowa, the city is home to the Cedar Rapids Museum of Art, the National Czech & Slovak Museum & Library, the Paramount Theatre, Theatre Cedar Rapids, and the Iowa Cultural Corridor Alliance. Cedar Rapids is an economic hub of the state, located in the core of the Interstate 380 Cedar Rapids/Iowa City Technology Corridor of Linn, Benton, Jones, Johnson, and Washington counties. The estimated population of the three-county Metropolitan Statistical Area, which includes the nearby cities of Marion and Hiawatha, was 255,452 in 2008. As of the 2010 United States Census, the city population was to 126,326.Cite news] The Cedar Rapids/Iowa City corridor has an estimated population of 423,353 as of 2006. Cedar Rapids has been residence to famous figures for the United States, including American Gothic painter Grant Wood, journalist and historian William L. Shirer, writer and photographer Carl Van Vechten, and aerodynamics pioneer Dr. Alexander Lippisch. In the 1990s and 2000s, Hollywood would feature several Cedar Rapidians including actors Bobby Driscoll, Ashton Kutcher, Elijah Wood and Ron Livingston. The area has also produced a number of professional athletes such as Ryan Sweeney, Trent Green, and Kurt Warner. The city is also the setting for a musical, The Pajama Game and the comedy film Cedar Rapids. Cedar Rapids is nicknamed the “City of Five Seasons”, for the “fifth season”, which is time to enjoy the other four. The symbol of the five seasons is the Tree of Five Seasons sculpture in downtown along the north river bank. The name “Five Seasons” and representations of the sculpture appear throughout the city in many forms. Excerpt about Christian boarding schools in Iowa, used with permission from Wikipedia. Should you need help finding therapeutic boarding schools, therapeutic boarding schools for teens, schools for troubled youth or boarding schools for troubled boys, please let us know. If you are searching for troubled youth homes, troubled teen schools or troubled teen boarding schools, you have found one. Homes for troubled teens and boarding schools for teens don’t typically offer teen counseling and therapy, but we do. Our therapeutic boarding school is among best therapeutic schools with counseling. Our troubled teen school and residential treatment program for teens is affordable. The Wings of Faith religious, faith-based, therapeutic residential school helps turn around rebellious girls who are defiant or out of control and get them back on track spiritually, mentally and academically. Compare our girls boarding school to therapeutic programs and other religious residential schools for girls. Call us to see how affordable our school for girls can be. Wings of Faith is a therapeutic boarding school for struggling teen girls, ages 8-17. If your teen girl is deceitful, struggling with authority, running away, coming home late, sexually promiscuous, failing school, or has been diagnosed with Attention Deficit Disorder, Attention Hyperactivity Deficit Disorder, Oppositional Defiance Disorder, or depression, Avoidant Personality Disorder, Compulsive Personality Disorder, our boarding school for girls can help. Christian boarding school for struggling teenage girls from Iowa.